Have a look at the most expensive cars present in the world at the moment. Christian von Koenigsegg may be the most visionary privateer builder in the world today. His creations are deeply personal and undeniably ground-breaking innovations. The many of the most expensive cars in the world, the price of the changes to match the complexity each customer's demands. 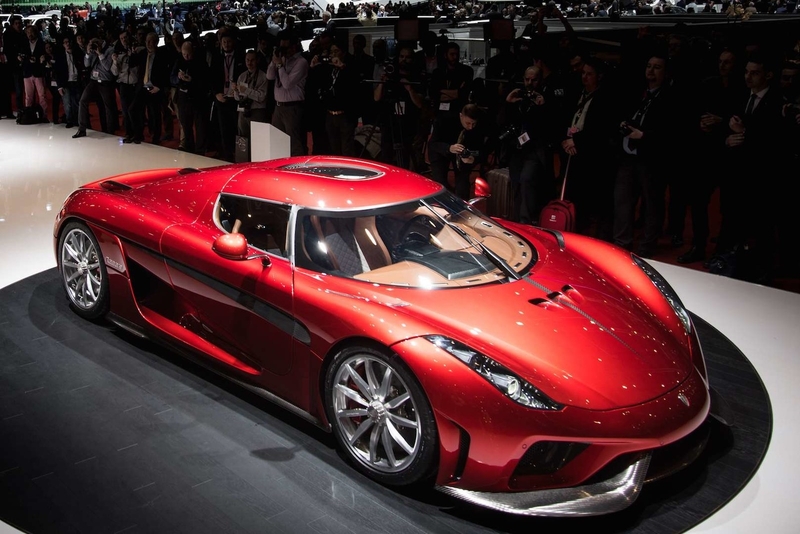 The Regera is built around a 5.0-liter twin-turbo V8 that pumps out 1,100 horsepower. The rest of the drivetrain is a brilliant departure from the norm: the Regera uses something called the Koenigsegg Direct Drive system, wherein a small, crank-mounted electric motor is connected to the engine with a hydraulic coupling and acts as a launch motor. Then, each of the rear wheels is assigned its own electric motor the push out around 700 horsepower. Off the line, with the coupling open, the Regera is a purely electric drive. When the hydraulic coupling closes, the smaller electric motor fills out the bottom of the torque curve. Few innovations in the automobile have inspired as much envy as Koenigsegg's drive system, and that accounts for just a part of the exorbitant cost. The Ferrari LaFerrari stood out when it was first introduced at the 2013 Geneva Auto Show, despite the fact that it had to share the floor with a new Lamborghini Veneno and McLaren P1. It has a top speed of 217 mph, crushed the track record at Maranello, and goes from 0 to 60 in under two seconds. Unveiled at last year's Paris Auto Show, the Ferrari LaFerrari Aperta is the open-topped version of the fastest production Ferrari ever made. Literally meaning "open," the Aperta differs from the hard-top—which was already expensive when it was first sold in 2013 or $1 million apiece—in a few crucial ways. The Aperta uses the same revolutionary drivetrain to create around 1,000 horsepower: the mid-rear mounted 6.3-liter Ferrari F140 V12 coupled with its HY-KERS kinetic energy recapture system cribbed from its Formula 1 car. But the absence of a roof—and a slight increase in weight—has demanded some critical changes to the car: the Aperta's has a more prominent front air-dam to boost downforce, its radiators have been angled down to direct air flow out along the underbody instead of over the hood, and an L-shaped wedge has been integrated to the upper corner of each windshield a-pillar to reduce compression on the rear of the cabin. 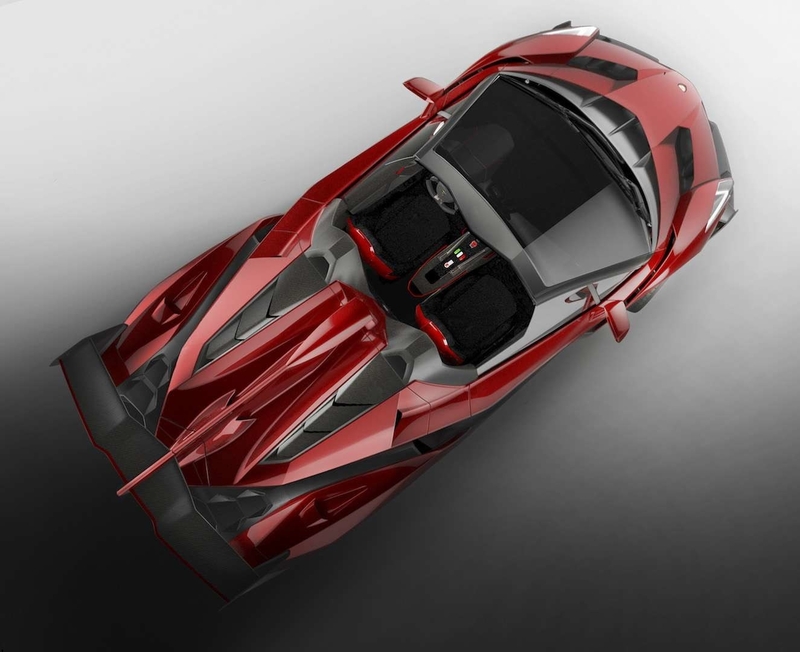 What Ferrari calls "Butterfly" doors open at a slightly different angle. Also, look for revised wheel arches. 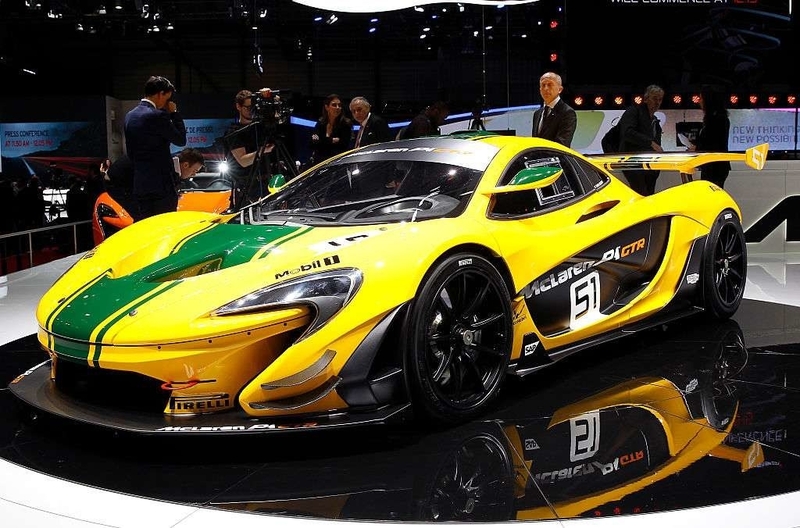 Ok, so the McLaren P1 GTR isn't on the market any more, and it never really was to begin with, since McLaren sold it out of the works, and only 35 were made. It's also a track-only car. You'd think these factors would take the GTR out of contention. Not so! A track car is still a car, and this one is a beauty. 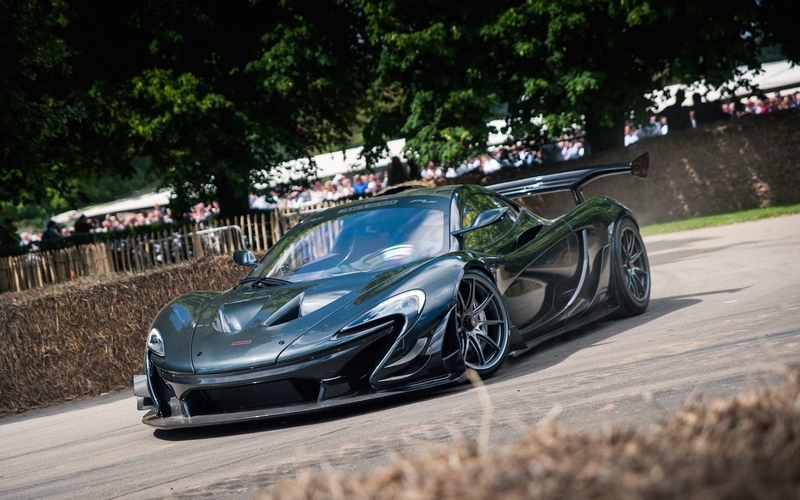 Built by McLaren works as a 20th anniversary celebration of McLaren's win at Le Mans and maintained by McLaren Special Operations department, the P1 GTR was sold only in pounds for £1.9 million. The 1,000-horsepower P1 GTR is one of the most expensive cars in the world because it is a McLaren, and a very special one at that. It features a hybrid drive plucked from the audacious P1 road car, and but it differs in a variety of ways. Where the P1 has a variety of driving programs (e-mode, normal, sport, track, and race, as well as an all-out “boost” and Instant Power Assist System button), the GTR has a stripped down set of options. It has a fixed ride height on race-ready suspension, a fixed rear wing capable that can deploy a drag reduction system, and specially-designed exhaust system. It travels 225 mph at the high end and goes from 0-60 in 2.4 seconds. When, as legend has it, former VW czar Ferdinand Piech demanded that Bugatti make the fastest car in the world, the masterminds in Mulsanne conjured the Veyron, an insectile example of aerospace colliding with automotive engineering that traveled a laughable 268 mph. Its W-16, 1,001-horsepower engine jacked up the cost to $1.5 million, and the four turbo wastegates were louder than most modern engines. Now, the Veyron—once among the most expensive cars in the world—is gone. In its place, the Bugatti Chiron, an even more expensive Bugatti. Also faster, more advanced, and more powerful than the Veyron, the Chiron boasts a similar quad-turbocharged W-16 8.0-liter engine, but it has tinkered and futzed until the output is now 1,500 horsepower—300 more than even the Super Sport, the fastest model of the Veyron. The Chiron's top speed has been limited to just 261 mph on the road; its actual top speed has reportedly not yet been tested. But the wealthy and wiling are lining up to set the mark. 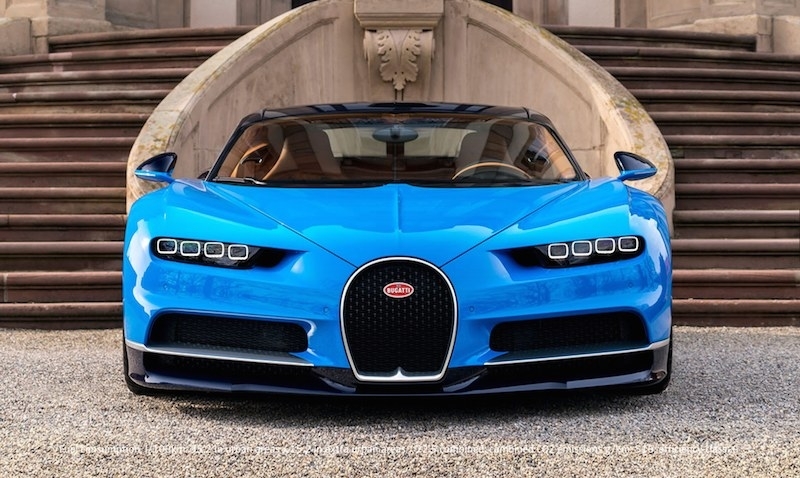 What makes the Chiron one of the most expensive cars in the world? It's a Bugatti, it's handmade in an atelier, and no one can agree how to pronounce its name. 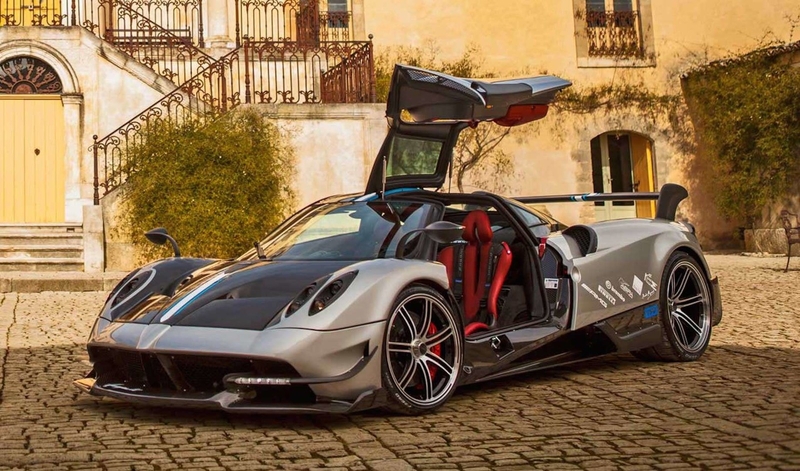 For those among you who didn't think it could get more extreme that the Pagani Huayra, we give you the Huayra BC, the most expensive Pagani ever made. The BC stands for Benny Caiola, an Italian investor who may have owned one of the best collections of Ferraris in the world. Caiola was one of Horacio Pagani's oldest friends and mentors, and this car takes Pagani's obsessive approach to detail to even more mental levels. The BC looks and sounds like the "base" Huayra: The engine is still sourced from AMG, and remains a 6.0-liter V-12 bi-turbo that's been tuned by Pagani's demonic shop gnomes to bring you 790 horsepower and 811 lb-ft of torque. All of this sorcery is run through tripod drive shafts developed through Le Mans prototype program to the rear wheels by way of a seven-speed Xtrac transmission. Got that? The transmission itself is controlled by electro-hydraulic actuation and carbon-fiber synchronizers. Pagani, ever hungry for carbon fiber. Here's just one of many ways in which the BC takes flight from the planet Huarya: Each shift in this dynamic transmission has been tuned from the standard Huayra 150 milliseconds to the BC's 75. That's taking a fast shift time and slashing it in half. Only six of these preposterous Ferraris were ever made. The very expensive Ferrari Pininfarina Sergio was created in homage to the famed son of the founder of Pininfarina the year that he died. 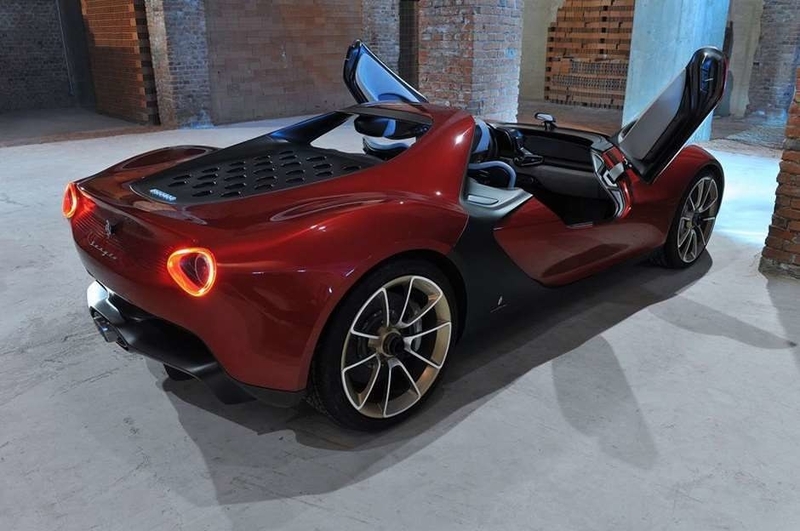 It was originally presented as a concept car in 2013, the Sergio grew on Ferrari just enough to for them to green-light a six-car production run based on the Ferrari 458 Spider. Thanks to an all-carbon-fiber frame, the hand-made Sergio is a full 330 pounds lighter than the already waif-like 458. Arranged in a two-seat configuration, it takes the open-air concept even further. 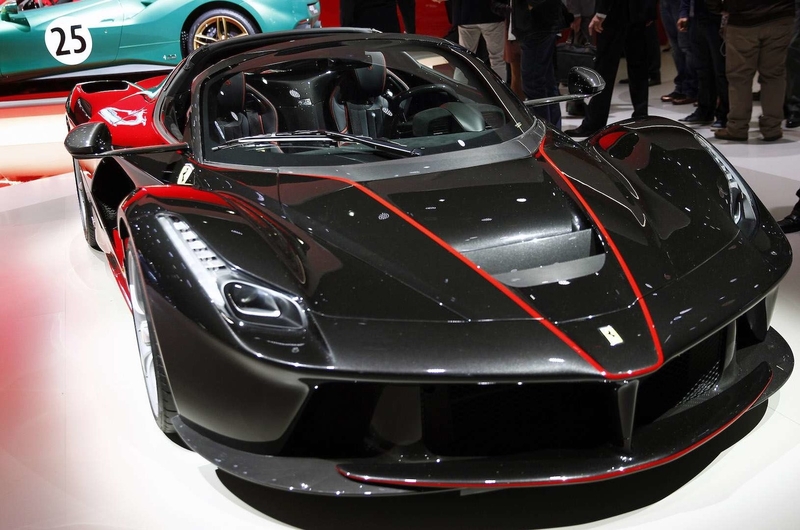 Where the Ferrari 458 Spider has no roof, the Sergio has no roof, no side windows, and windshield. That makes the force of this naturally-aspirated 4.5-liter F136F V-8 engine—the same one used the 458 Spider—all the more forceful. There is no announced price for the Aston Martin Valkyrie yet. But a reliable source said that if we put $3 million, we'd be about right. 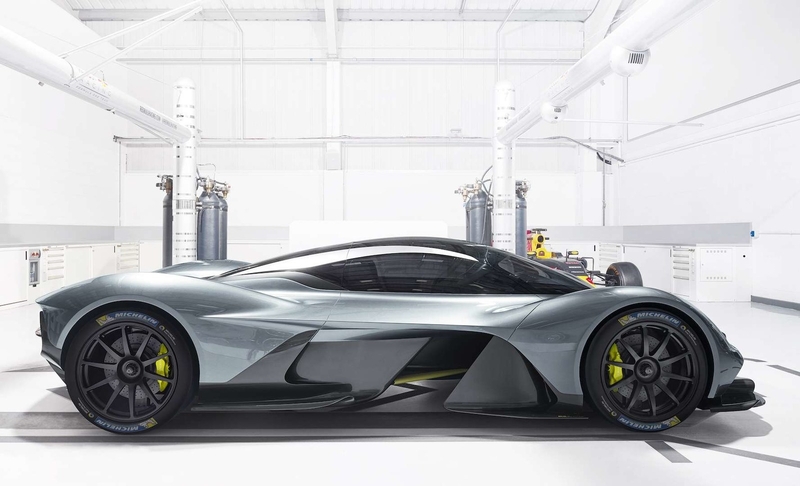 This car, until recently known as the Aston Martin-Red Bull AM-RB 001, is a culmination of sorts of Aston Martin's visionary new president, Andy Palmer, who has ushered Aston Martin into a new age of solvency and relevance with a series of killer cars. The Valkrie is the most killer car of all. Palmer and Red Bull RAcing's Adrian Newey and Christian Horner agreed to build the car over a pint at a pub (true story). Thus the partnership was born between Aston and Red Bull Racing's Newey, the aerodynamicist whose work is largely responsible for Red Bull's multi-year dominance in Formula One. Newey and Aston Martin invented an aerodynamic scheme for the Valkyrie that channels air through the chassis and creates downforce without the help of a wings. The engine will be a 6.5-liter, naturally-aspirated V-12 tailored to the frame by Cosworth, and was made to achieve the magical 1:1 power-to-weight ratio. The Valkyrie is not a car for casual buyers of supercars. Marek Reichman, Aston Martin's designer, said the car—which has a Rimac-built hybrid battery system installed along with the engine—will make about 1,000 horsepower. The Veneno Roadster is the most expensive production Lamborghini on the road today. It's actually $500,000 more expensive than the coupe version of the Veneno. That's a lot of cash for a little less roof above your head. How can you explain a cost well north of $3 million? Look at the build of this open-top two-seater. The monoque is lifted from the LP700-4 Aventador, except this one is made from carbon-fiber. Atop this is bolted a 740-hp, 6.5-liter V-12 with a seven-speed single-clutch ISR automated manual transmission—the same one found in the Veneno coupe. It's a tricky transmission, and one that gets a lot of heat among aficionados. If there's room for improvement in a car that costs more than a private jet share, the transmission would be the place. The sprung portion of the Veneno is placed atop a pushrod-actuated suspension, and even though it's driven by a a full all-wheel-drive system, the total dry weight of this carbon-fiber gem is just 3,285 pounds. 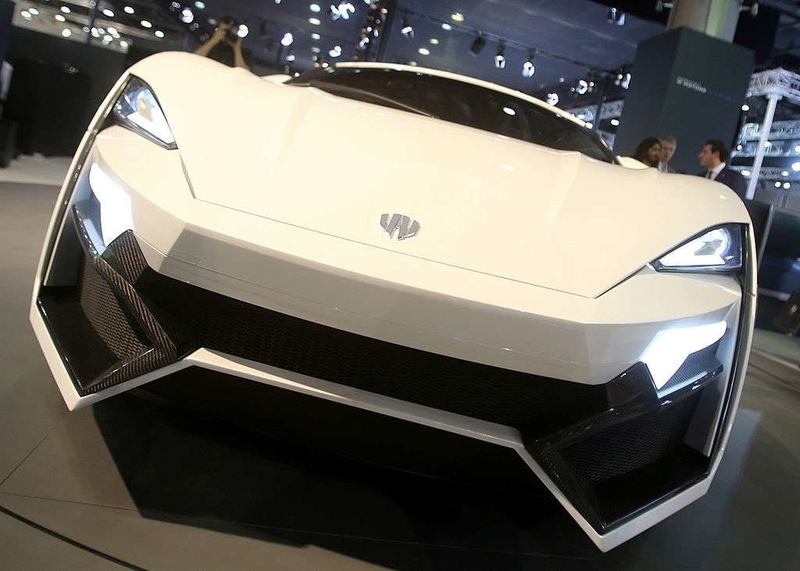 Built by W Motors, the Lykan HyperPport is legitimately the first Arab supercar. We know this because W Motors is based in Lebanon, but also because the HyperSport is reckoned to be the first car to have headlights with embedded jewels. There are titanium LED blades that have a total of 420 15-karat diamonds. However, according to Lykan, buyers have also selected rubies, diamonds, yellow diamonds, and sapphires. The rest of the car? Fine. It's powered by a mid-rear mounted, twin-turbo 3.8-liter flat-six boxer that fires about 780 horsepower through the rear wheels. It 0-62 in 2.8 seconds and has a blistering top speed of 240 mph. But really: The headlights are made with 240 15-karat diamonds. And that's what makes this one of the most expensive cars in the world. The McLaren P1 LM is the most expensive car in the world in 2017. Go ahead and dispute it, because you can. But first, consider the caveats: McLaren didn't actually build this car. They built the original P1, which was then acquired by Lanzante Motorsports, which painstakingly rebuilt the P1, transforming a near-perfect supercar into a definitive work of art that will one day be remembered as a crowning achievement of all humanity. It takes cues from the McLaren P1 GTR [see above] and the storied McLaren F1 road car. Like the F1, the LM has gold plating in the engine bay. And the engine which the gold surrounds is a 3.8-liter twin-turbo V-8. Combined with the three electric motors dispersed between the engine and the rear wheels, the P1 LM produces a heroic 1000 horsepower. These details may not distinguish a car on this list, which has high power standards. The Lanzante distinguishes itself is in how smart it is. The aerodynamics come to life on track. A modified rear wing and enlarged front splitter join together with dive planes that generate an astounding 40 percent increase in downforce over the P1 GTR.